While the various pre-poll surveys for the upcoming Lok Sabha election have predicted that the Bharatiya Janata Party-led National Democratic Alliance has an edge over its opponents, they have also forecast that “others” or regional parties not aligned with either the saffron party or the Congress, can win anywhere between 100 to 138 seats. 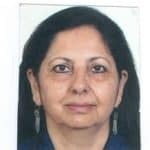 The performance of these regional parties needs to be watched closely as they could well play a crucial role in deciding who forms the next government if neither the BJP-led alliance nor the coalition stitched up by the Congress is unable to cross the half-way mark in the 543-member Lok Sabha. The regional parties do not have a wide-enough presence to form a government on their own but they are certainly in a position to play kingmaker in case of a hung Lok Sabha. The “non-aligned” regional parties can be broadly clubbed into two categories. The Biju Janata Dal, led by Odisha chief minister Naveen Patnaik, the Telangana Rashtra Samithi, headed by Telangana chief minister K Chandrasekhar Rao and YSR Congress Party’s Jagan Mohan Reddy in Andhra Pradesh. All the three parties maintain they are equidistant from the two national parties but will have no qualms in going with the winner. In fact, it is informally accepted by BJP leaders that these three parties will be amenable to a post-poll deal with them if their alliance falls short of the requisite numbers. From all accounts, the three parties are well-placed in their respective states and their leaders have not given any reason to believe that they will not be willing to do business with the BJP if it comes back to power. The second category of regional parties includes Mayawati’s Bahujan Samaj Party, Akhilesh Singh Yadav-led Samajwadi Party, N Chandrababu Naidu’s Telugu Desam Party and Mamata Banerjee’s Trinamool Congress. Their home states – Uttar Pradesh, West Bengal and Andhra Pradesh – collectively account for 147 Lok Sabha seats. 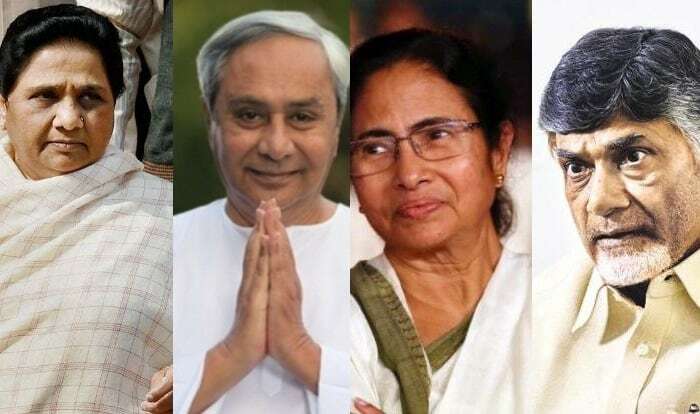 It is expected that these regional satraps will not align with the BJP and will instead drive a hard bargain with the Congress-led alliance after the elections. This will, of course, depend on the final tally and whether this grouping is in a position to form the government. This was evident from Mamata Banerjee’s speech at an election rally in West Bengal’s Raiganj constituency on April 9 where she declared that the Congress will not be able to form a government on its own and that “the Rahul Gandhi-led party will have to seek help from others if it wants to form a government at the Centre”. The Trinamool chief is playing to win a maximum of the 42 Lok Sabha seats in her home state West Bengal so that she is in a position to call the shots after elections and, maybe, position herself as a Prime Ministerial candidate. To improve her acceptability outside West Bengal, Banerjee has directed that her party’s press conferences held in Delhi be conducted in Hindi. One such press meet was held on the eve of the first phase of elections on April 11. All attention is currently focused on former bitter political rivals in UP, the BSP and the SP, who have now joined hands along with Ajit Singh’s Rashtriya Lok Dal to take on the BJP in the electorally crucial state. They have deliberately kept the Congress out of this alliance as they would like to maximize their gains in the election to be able to negotiate from a position of strength after the polls. It has become imperative for this grand alliance (maha-gathbandhan) to succeed on the ground not only because the survival of the regional parties is at stake but also to weaken the BJP in Uttar Pradesh where the party bagged 71 of the 80 seats in the 2014 Lok Sabha polls. Though the BSP failed to win a single seat and the SP was reduced to four seats thanks to the Modi wave, the two parties have posted good results in the past. A good showing by these regional forces this time will improve their political fortunes in Uttar Pradesh and, at the same time, give them an opportunity to decide who forms the next government at the Centre. Like Mamata Banerjee, Mayawati is also looking to play a larger national role. Though her party’s vote share has been declining, the BSP has fielded candidates across states to bump up her tally by garnering a sizeable number of Dalit votes. Mayawati made her intention clear when she told her party cadre recently that she may have decided to keep away from the electoral fray but this will not impede her chances of becoming Prime Minister as she has the option of contesting a Lok Sabha election within a period of six months. Chandrababu Naidu is pragmatic enough to realise that he is not in the race for the Prime Minister’s post but he certainly has ambitions of playing a kingmaker at the Centre. After he parted company with the BJP over his demand to secure special status for Andhra Pradesh, Naidu has made consistent efforts to bring together opposition parties on a common platform. He played a similar role in 1996 when a set of regional parties formed the government at the Centre by cobbling together a coalition. The hurriedly forged United Front forced the Congress to lend it outside support in order to keep the BJP out. Naidu, who was the convener of the United Front, has now predicted that 1996 will be repeated this year. In other words, he is convinced that regional forces will be at centre stage while the Congress will be the pivot of this grouping. The game plan of the regional parties is self-evident. They want to be in the driver’s seat and want the Congress to align with them but on their terms. Regional parties have realized their potential ever since coalition politics became a recurring feature of Indian polity in the late eighties. Having a presence at the Centre gives the regional leaders a place at the high table, helps them push the interests of their respective states and even influence national policy. For instance, Mamata Banerjee walked out of the Manmohan Singh government in protest against its policy to open up the retail sector for foreign direct investment. Similarly, the Trinamool chief did not allow India to sign the Teesta river water sharing treaty with Bangladesh on the ground that it did not favour West Bengal. Regional autonomy and preserving the country’s federal structure are the buzz words in a coalition era. But, most important, a role at the Centre also ensures personal protection for the regional satraps and their party members as many of them are guilty of misdemeanors and need necessary legal safeguards.